What about getting a taste of samba before Rio Carnival? 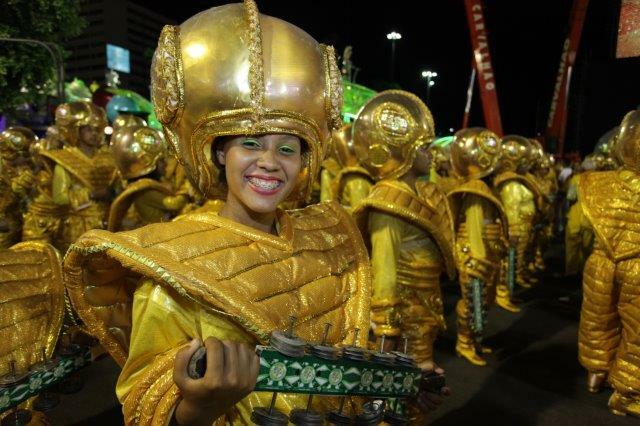 All eyes are on the Sambadrome during the four days of the Rio Carnival. However, every samba school needs to warm up for their samba parade a few months in advance. Competition is tough and the only way for the samba schools to beat it is to practice hard. To get the technical stuff right, the schools hold rehearsals with plenty of light, sound, and action beginning early December. Technical rehearsals at the Sambadrome are a great way to get a flavor of the magnificent parades to follow without having to spend. You can learn the lyrics of every samba song, mingle with samba school supporters, and have the time of your life. It is a great way to understand the extent of planning and organization involved in hosting the biggest event on the planet. If you have attended a few practice sessions at the samba schools, the audio-visual experience at the Sambadrome with the vibrant sounds of the samba percussion will take you dizzying heights which are hard to return from. The rehearsals are the best way to experience the magic of the Carnival for those who do not have a ticket to Sambadrome or a costume to join in one of the wings. As the week for the big event draws near, technical rehearsals at the Sambadrome take place frequently. They follow a specific schedule so make sure you follow your favorite school’s itinerary carefully. The rehearsals give samba schools enough time to make adjustments for their parade, with their carnival producers keeping a close watch on every move. Although they are dry runs without costumes, floats, and other equipment, at least 800 participants from each school strut their stuff down the samba runway during these rehearsals. While the schools take care of their choreography, float distances, and drum section movements, all you have to do is soak in all the entertainment and join in the revelry. The last rehearsal is the most promising and spectacular show with traditional street bands joining in at the end of the rehearsals. Go ahead, join in, dance, and enjoy the Carnival with them. Get Your Costume. Parade with the Stars. Check out our costume collections and get the one that most pleases you so you can take part of the greatest show on earth and be amazed by what you will experience.